Here is another intriguing RSA Animate video from a talk given by Dave Coplin (Microsoft) back in April of this year. 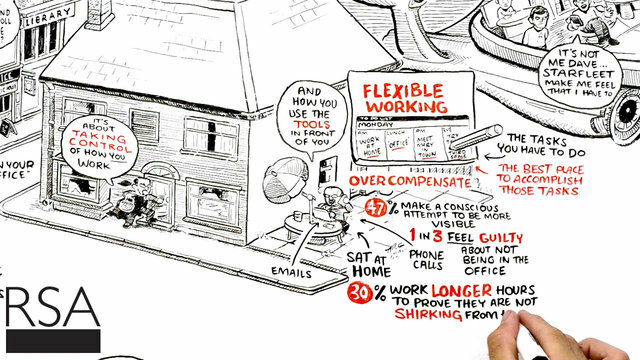 How can we get people more engaged, more productive, and happier at work? Is technology part of the problem – and could it also be part of the solution? Dave Coplin, Chief Envisioning Officer at Microsoft, imagines what might be possible if more organisations embraced the full, empowering potential of technology and encouraged a truly open, collaborative and flexible working culture. Taken from a talk given by Dave Coplin as part of the RSA's free public events programme. Here are the video hightlights of Coplin's talk,, as well as the full audio file to download or to listen.